Inez Kaiser, a feisty home economics teacher, branched out in middle age to become a fashion writer and pioneer in public relations. The Kansas native in the late 1950s became the first African-American woman to own a PR firm serving national clients, according to the Public Relations Society of America. 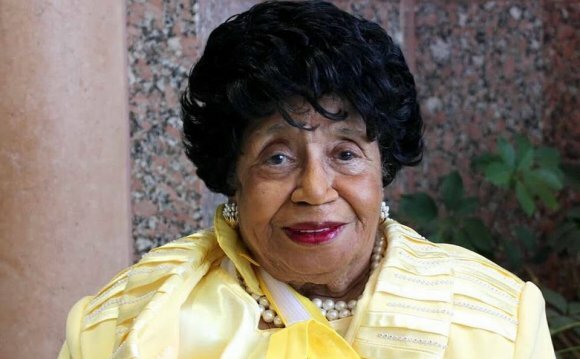 She worked with clients including Seven-Up Co., Lever Brothers Co. and Sears, Roebuck & Co. She also served as an adviser to the federal government on minority-owned business in the 1970s. The 5-foot-tall Ms. Kaiser often encountered discrimination but “never backed down from anyone or anything, ” said her son, Rick Kaiser. Ms. Kaiser died July 31 at a hospital in Overland Park, Kan. She was 98 and had been suffering from kidney disease. At times, Ms. Kaiser had to do some aggressive PR on her own behalf, she recalled in an interview with the Kansas City Star two years ago. When she sought downtown office space in Kansas City, Mo., for her firm in the early 1960s, agents kept telling her no space was available. “When things don’t work out, I get a Plan B, ” she said. “So I went to the office that was in charge of all the rentals and told them, ‘If I don’t get an office by tomorrow, I’m going to call the presidents of NBC, CBS and ABC to come to Kansas City and see what’s going on.’” She finally got her space without having to call in the TV networks. She later earned a master of arts degree in home and family life at Columbia University’s Teachers College in New York. A friend suggested she try public relations. “I never heard of public relations, ” she later said, but she set up her own firm, Inez Kaiser & Associates, and began pitching for business. She got a contract to work for Seven-Up, she said, because an executive there liked the way she admitted she didn’t know the answer to one of his questions but would get back to him within a day. In the 1970s, she organized a group called Del Sprites that helped junior and senior high-school girls learn social graces and pursue higher education. The public relations division of the Association for Education in Journalism and Mass Communication later created a college scholarship program in her honor. Ms. Kaiser told the Kansas City Star she was a Republican “because all the people who helped me get my business started were Republicans.” The Nixon administration sent her to represent the U.S. at an economic conference in Africa. She served as an adviser on minorities in business during the Ford administration. President Ford “was someone that I dearly loved, ” she said, recalling that she wept when he lost the 1976 election to Jimmy Carter. Her hobbies included watching baseball and other sports. When the Kansas City Royals won the World Series last year, she dispatched her son to buy victory T-shirts for more than 60 employees at her nursing home. Even a person who leads a healthy lifestyle is not immune from the appearance of a toothache that violates a comfortable life, the usual daily routine and reduces efficiency. Especially the pain that appears at night causes perplexity, as many people do not know how to act, where to go and where to remove the tooth quickly. Not only toothache, but also any other pathological processes have properties to be aggravated at night. Emergency dental care Kenosha, whose employees know that at night unpleasant sensations are exacerbated for obvious reasons, comes to rescue.